Every day we have task lists, lesson plans, conflict management, and student issues; all while trying to maintain some sort of autonomy with our staff. With so much to do, it's easy for our conversations to get lost in the daily business of it all. Of course, task lists and cirriculum matter, but not near as much as the people running them. We care about our staff, but are we willing to take time to care for them as individuals that are a part of our team, asking... "Why do you do what you do? How do you work best? How can I serve you?" People want to be cared about. They want to know you value them. Our 1 of a kind experience not only helps each individual member leave with the deepest picture of WHO they are as an individual, but WE leave the most connected and understood as a team we have ever been. As a leader in networking, community building and people & culture, this is a must for your team. Hey, I'm Rocky Garza and my #1 desire is to help you find freedom from the lies you believe about your value and worth. I would be honored to have the opportunity to spend the day with one of your teams and can't wait to spend some time digging deep into WHO you are so that you find the freedom to be WHO you were created to be. Over the last 15 years I have watched, learned, pressed into and most importantly put into practical action, becoming a people expert. 8 years in full time ministry and another 7 years as an entrepreneur, and with a quite unconventional childhood, and what I challenge others to do is not a theory, it is my everyday. 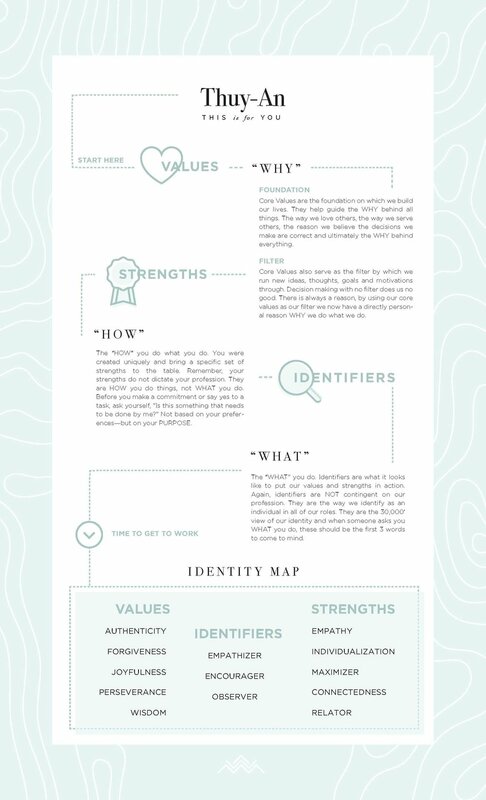 Identity Mapping is not an online assessment. It is not a quiz that tells you about you. It is deep introspective process that allows you to explore WHO you are as a human with uninterrupted face-to-face relational conversation. I will tell you nothing about you that you don't tell me first. I will be the unbiased 3rd party to give you clarity. 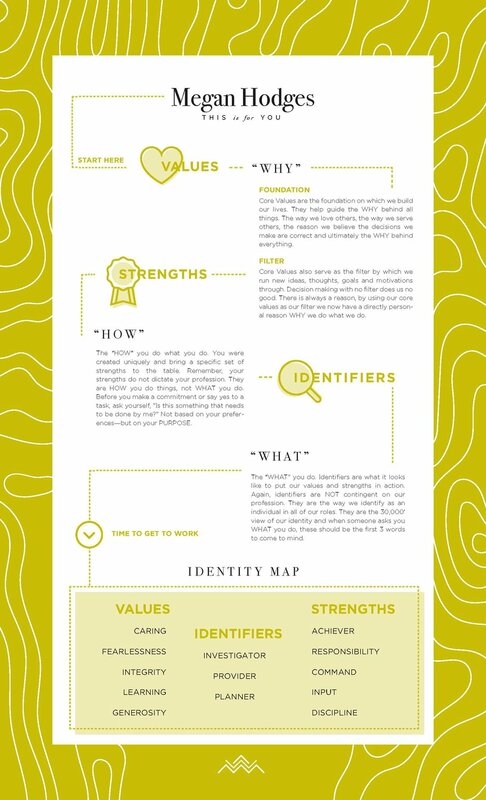 Sample Identity Maps - We will create 1 of these for each member. Rocky led a full-day team transformation experience for the me and my direct reports, the People & Culture Leadership team of Grant Thornton. The focus of the work was preparing the team for a leadership transition given my planned departure through the exploration of our individual and collective values, strengths and powers. Rocky skillfully orchestrated an experience that was intimate, raw and empowering. His deep listening skills coupled with his authentic approach to engaging created the ideal environment for the team to participate vulnerably and whole-heartedly. In his opening, Rocky claimed, "at the end of the day you will know yourself more deeply than you ever have." Without exception, we did! I highly recommendRocky Garza to any individual or team who is looking to become known, seen and empowered not through gimmicks but through real conversation. I've been to a lot of "workshops" and team building "off sites" over the last 12 years. Today our leadership team spent the day with Rocky and this is the best I've experienced. Rocky has an unique gift for helping individuals and teams give words to their core values and strengths while providing practical, actionable takeaways that lead to greater influence and impact. If you lead a team and are looking for an incredible resource to increase the scope of your group's impact, you have to check out Rocky! With just a brief orientation, Rocky ‘got us.’ He delivered a session to our leadership team regarding core values and discovering our why. He was able to effectively weave our strategic meeting themes through the session which resulted in a fantastic kick-off to our team’s time together. Rocky effortlessly engaged the team from the first minute and created a safe space to share and continue the dialogue even after our time with him was over. I would highly recommend Staff Retreat Co. and Rocky to any organization looking to build a dynamic and highly engaged team/organization. If I could describe having Rocky lead our annual leaderhsip confernce, I would say “incredible”. He lead our opening keynote, lead an afternoon breakout session and closed the conference the next day. It was a powerful to say the least and honestly, the way he closed it left out entire 100+ leaders in a standing ovation. He fully immersed himself in our culture and custom fit all the sessions to our staff perfect. He is a MUST hire. "Our time with Rocky exceeded my expectations. As a manager, I was thrilled to see my team fully embrace the process and let their guards down to get the best possible experience. In a corporate setting, it's rare to be so honest and vulnerable with your co-workers. Rocky encouraged all of us to dig deeper, communicate effectively and how to treat one another through our identity mapping discoveries. I saw this as an investment in my people- personally and professionally. Rocky was the perfect person to guide us through this process and I cannot think of a better way to spend a day outside of the office!"